Japanese entertainment news website Cinema Today reportedon Thursday that director, comedian, and actor Beat Takeshi (also known as Takeshi Kitano ) will play the Public Security Section 9 founder and chief Daisuke Aramaki in Dreamworks and Paramount's live-action Ghost in the Shell film. According to Variety, “The story follows the exploits of a female member of the Japanese National Public Safety Commission’s covert ops unit (Johansson), which specializes in fighting technology-related crime.” Uh... So, Johansson is playing Major Motoko Kusanagi, a Japanese cyborg? Or, maybe, they can make her an American cyborg for the Japanese government? For this Hollywood movie? This is all quite odd. But! Finally, the filmmakers have signed a real Japanese actor to join the production—and a great one at that. Oricon and Cinema Today report that Beat Takeshi will play the chief of Public Security Section 9, Daisuke Aramaki. “It’s not that I’m a fan of anime or manga,” Takeshi is quoted as saying (which, hey,is okay!). It’s not like the 69-year-old Takeshi will be making a cameo as a street food vendor or some other such minor background character. 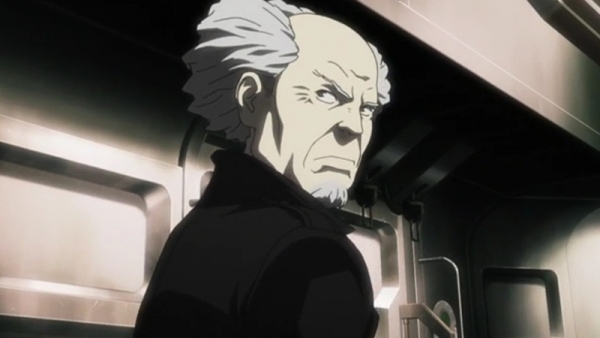 He’ll be playing Daisuke Aramaki, the head of Public Security Section 9 and the highest-ranking member of Ghost in the Shell’s team of heroes. Directed by Rupert Sanders from a script by Bill Wheeler, Ghost In The Shell is targeting a March 31, 2017 release date.